​​Studio location: Cubberley Community Center - 4000 Middlefield Road, Room J-6, Palo Alto, CA 94303. 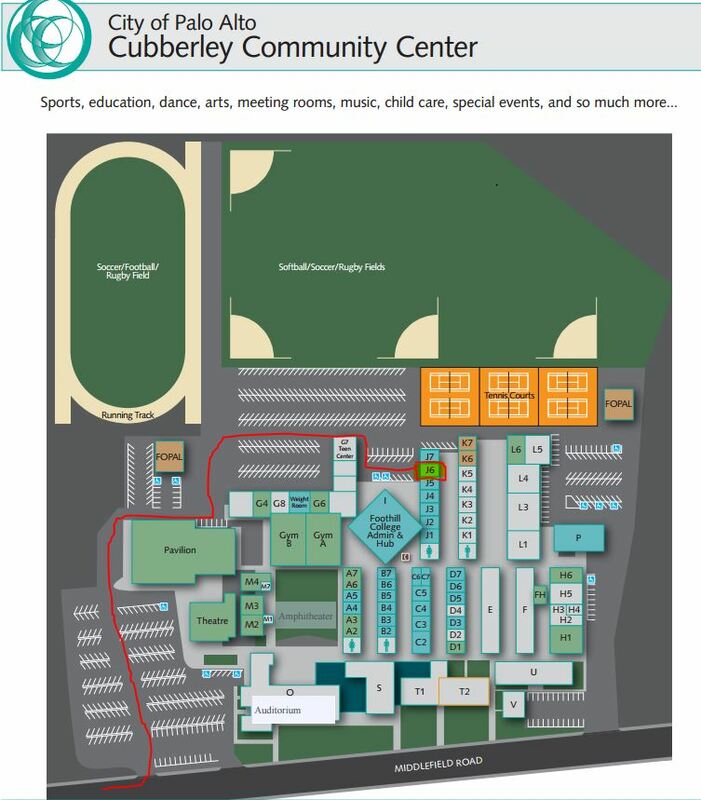 To get to J6, enter the Cubberley Center at the traffic light of Middlefield Road & Montrose Ave. Follow the road to the rear of the buildings, past the theater & pavilion. J6 is located in building J, next to the Palo Alto Soccer club office. Click on Studio Map for location of the studio within the complex.